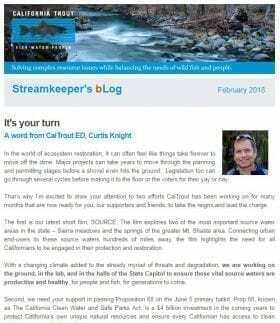 CalTrout Interviews (And Hires) Michael E. Wier | California Trout, Inc. Solving complex resource issues while balancing the needs of wild fish and people. - CalTrout decal - display with pride! "All defeats are permanent, and all victories temporary"
California Trout’s monthly givers are the bedrock of our supporter “Stronghold”. Stronghold Circle donors understand that the work protecting wild fish, implementing large-scale restoration, and promoting reconciliation ecology is critical and it is ongoing. 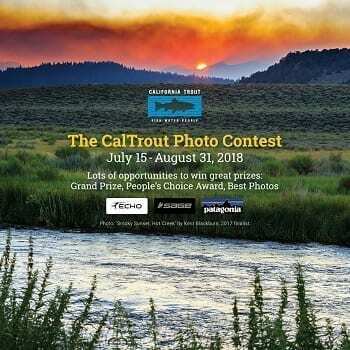 Follow CalTrout on Facebook, Twitter and Instagram too! 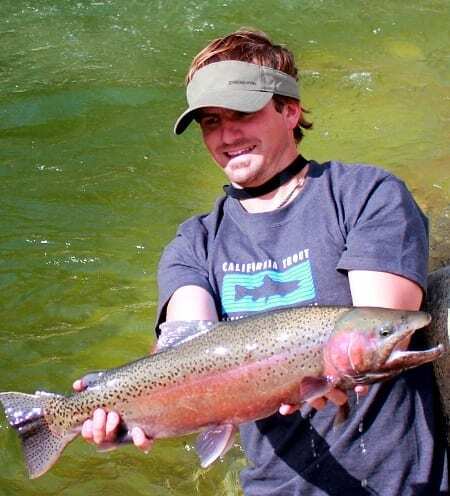 Mike Wier has joined CalTrout, and the well-known fly fishing videographer will put his considerable talents to work helping protect and restore California’s fisheries. Wier is a Patagonia fly fishing ambassador and the owner of Burl Productions, his video production business. He’s lived and fished in California almost his whole life, and we’re excited to have him on our side. Q: How long have you lived and fished in California, how does it compare to the rest of the world? A: I’ve lived in California almost my entire life. My parents moved back to California from New Zealand when I was two. I started fishing when I was four and fly-fishing by 7 or 8. I’ve been very fortunate to have the opportunity to fish in some really amazing lakes, rivers and oceans around this planet. People ask me all the time “Now that you’ve been all around the world, where’s your favorite place to fish?” Without hesitation I always say California. California has so many diverse fishing opportunities. We’ve got more unique species of native trout and salmon than any other state in the lower 48. 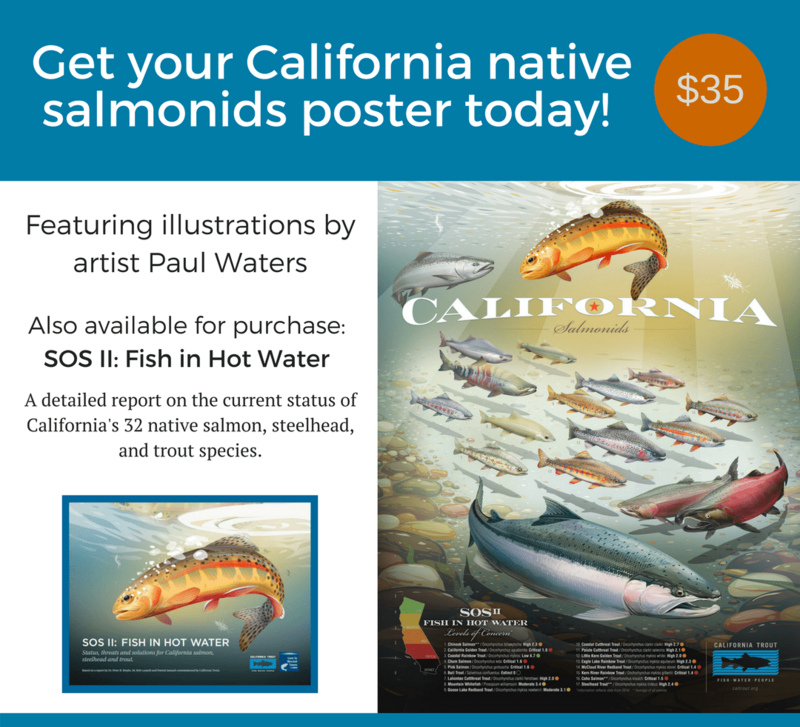 They live in a huge variety of habitats from small streams in southern California to the coastal rivers and Redwood forest up north and everything in-between. Spring creeks, free stone rivers, tail waters, coastal lagoons, spring fed lakes, high country lakes, reservoirs and the list goes on. Then you add in all the warm water fishing for black bass, small mouth bass, rock bass, striper, carp, catfish, perch, crappie, squaw fish, shad and again the list just keep going on and on. Throw in the ocean fishing opportunities and you really enjoy a cornucopia of fishing. Best part is that all these possibilities are pretty close and most good areas to fish are free and open to the public. California also produces big fish! Lots of records come out of our state. Q: You’ve fished all over California: where are your favorite places to fish? A: I really enjoy a multitude of different fishing venues around the state. I like fishing top water for Black bass in foothills lakes, ponds and the Delta. I enjoy fishing for Stripers in the Central valley rivers and Delta. I really dig coastal steelhead fishing, especially in the Smith and Klamath drainages. But I guess the places closest to my heart are the cold high country streams and lakes of the central Sierra Nevada Mountains. I love all the west slope rivers where I grew up, like the Mokelumne, American, Toulumne, Stanislaus, Calaveras, Yuba, Merced and Consumnes. They each have their own character as well as epic swimming holes. I still have a special love for the Tahoe area. 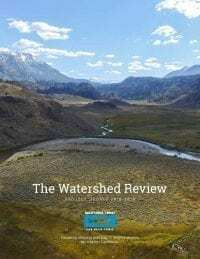 I have spent most of my guiding career on the East and West Carson Rivers, Big and Little Truckee and East Walker River. Those rivers will always be special to me. Q: Tell us about the equipment you use to make videos. A: My arsenal of video equipment is always expanding and changing. Right now I have a Cannon 7D and a Cannon T2i that are getting the job done pretty well. They are both very diverse tools that offer the most flexibility for creating pro media on a budget. I can shoot stills and video with one compact unit. I still have a Sony HDV camcorder for the times I start missing that zoom button and auto adjusting focus. I also have a sweet new underwater filming rig with a POV cam attached through a cable to a screen so I can see what I’m filming underwater. And of course I do have a GoPro2 that’s usually in the bag for back up shots and places I don’t want to pull out the big cameras. Q: What two tips would you give people to help them make better videos? A: First and most important: Get a good tripod, preferably with a fluid head for pano shots. No one wants to watch a video where every shot is hand held and it looks like it was filmed during an earthquake. Second, don’t get too hung up on the gear. Get a good camera that works well and learn to use it well. Image quality is important, what’s more important is your content and story telling. Don’t break the bank on gear when you are just getting started. Get something decent for a decent price that will get the job done and then build up from there. Unless money is no hang up, in which case you might as well get the goods. Q: What conservation causes are you passionate about, and what do you think are the biggest problems facing California’s Fisherman. A: Wow, that’s a big one. Where do I start? I guess I’ve always been a proponent of native and wild fish. I’d like to see our native trout and salmon species thrive in their historic waters well into the future and preferably without the assist of hatchery programs. I think with a bit of effort from multiple agencies this is a very achievable goal for the state. That would be a great place to start. We’ve already let one of our native species — the McCloud Bull Trout — go extinct, and we killed off the original Tahoe/Pyramid Lake strain of Lahontan Cutthroat trout that were probably the biggest trout in the world. We can’t let that happen again, especially to species so iconic as a California’s chinook and coho salmon or coastal steelhead. I feel these goals can be met while at the same time preserving, restoring and improving recreational and commercial opportunities for fisherman and ensuring there will always be waters open to the public to fish. Sounds like you made a good choice. Michael E. Wier’s fishing preferences & priorities are the same as mine. Well done on both of your accounts! I’m a 57-yr. old member, fly fishing since I was 8 and tying flies since I was 11, and I’m pretty “old school”. I grew up reading Trout by Ray Bergman and anxiously anticipating the arrival of the inch-thick, orange-and-yellow Herter’s catalog (my dream book) every spring. My first and still “favorite fly” is a gray hackle/yellow, though I tie it now with a variety of gamebird soft hackle instead of the grizzly that existed in the ’60’s. I totally support CalTrout’s hiring of Mikey. His videos express a sensitivity to the resource that is obvious as is his true joy of- and appreciation for- the sport. He is a classy young man who I hope is an example of the new generation of fly fishers. Congrats Mikey and CalTrout! Mark I still have one of those old Herters catalogs, and I spent hours studying everything I could find by Bergman; his color plates of flies were startling. Only Herters had the ‘right’ flouresent orange yarn for glo bugs (egg fly) and the world was a better place for having folks like Bergman, A. J. McClane and Jack O’Connor in it. I’ve got a few years on you, so I’ll say my favorite fly back then, was the brown hackle peacock, with a fuchsia colored duck quill tail. Herter’s, Ray Bergman, A.J. McClane, Curt Gowdy, Gadabout Gaddis … love the brown hackle – great wet fly … that and the gray hackle/peacock round out my 3 favorite wet flies, to this day … now I use hen or gamebird whenever possible for the great majority of my wet flies … if you haven’t ever read it and appreciate really well-written fly fishing/fishing-themed short stories, check out “The Last Pool: Upstream and Downstream Big Stony”(circa +/- 1969)(includes When All The World Was Young, and Return Of The Poacher, two great short stories) … I’ve still got one of the Herter’s catalogs too, from 1970 I think … fun to thumb through and check out the fishing stuff as well as the color plates of the gunstocks and bows, and the hunting sections that had photos of Jacques Herter posing with every exotic game animal short of monkeys and orcas! Definitely some great videos and a great hire. Just a comment about the original Lake Tahoe / Pyramid Lake strain of Lahontan Cutthroat trout. They were *ALMOST* killed off. The U.S Fish and Wildlife Service has been working on a brood population since the 90’s that genetically matches museum specimens (often called the “pilot peak” strain). They have recently started giving eggs to the Mocassin Creek hatchery so that CDFG can start raising them as well. This strain has been doing great in Pyramid Lake, with several fish over 12 pounds caught this past year, and one that tipped the scale 19.5 pounds. Although the challenges are numerous, there is still a possiblity that we may see large native trout in Tahoe once again. I for one can’t wait to catch and release a 10 lb + spawning run Lahontan in downtown Reno! I am glad to hear that Mike is on board with Cal Trout! He is a great fishing guide and an important advocate for the conservation of our fisheries and waters. His videos from Burl Productions are some of my favorite and I can’t wait to see what Mike and Cal Trout put together! You can help ensure a healthy future for California. 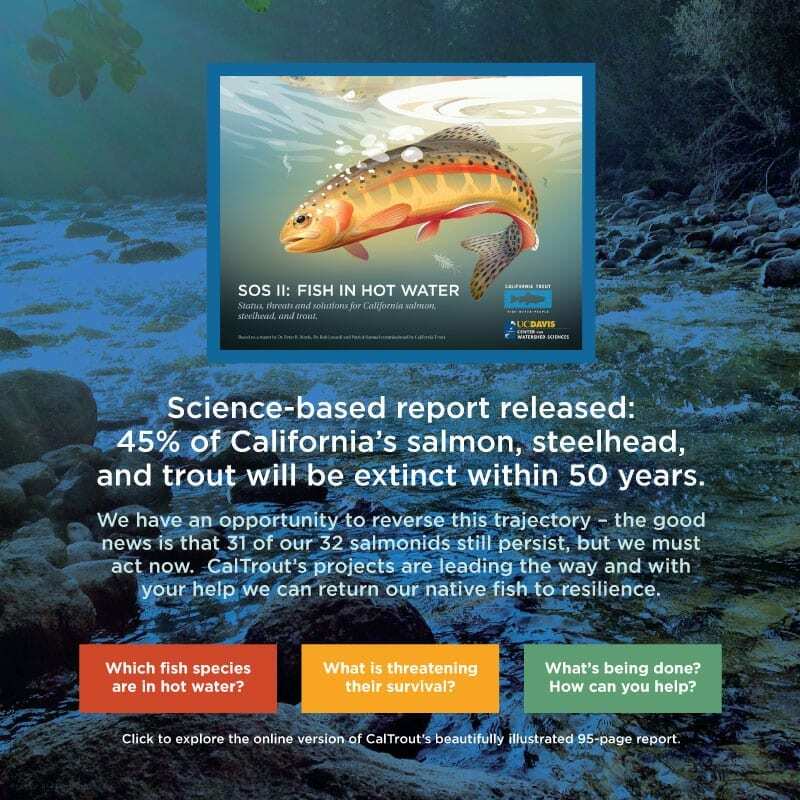 Since 1971 CalTrout has worked to ensure there will be resilient wild fish thriving in healthy waters for a better California. 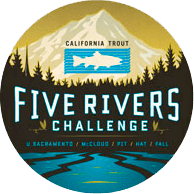 You can help in these efforts by supporting CalTrout and the precedent-setting, large scale projects we execute across the state. 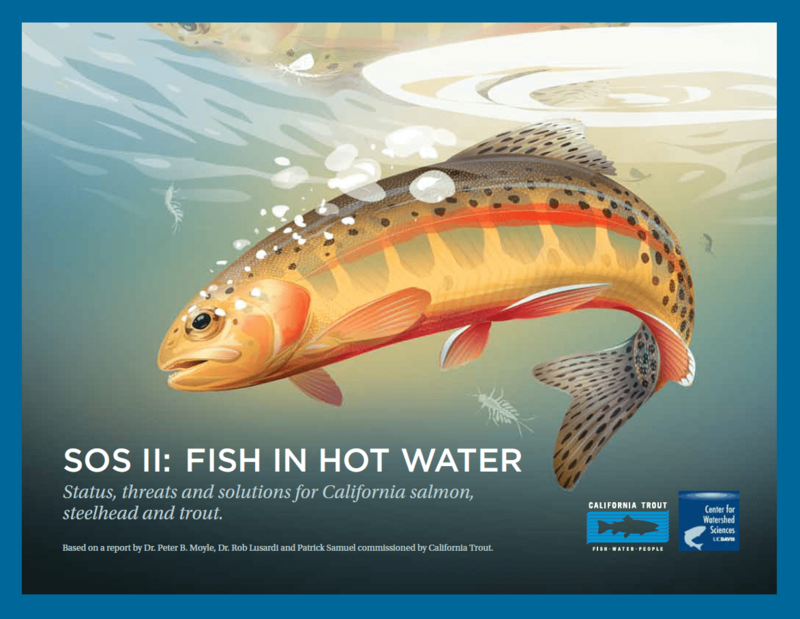 Get more involved with California Trout! 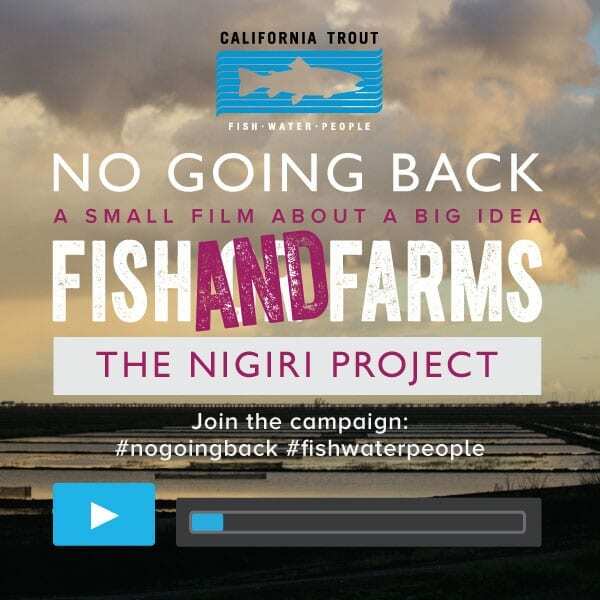 Sign up for our e-mail list to hear about our conservation work, advocacy, events, and news on California's fish and water. © 2019 California Trout Inc. All Rights Reserved. Photos and graphics © CalTrout or used with permission. 360 Pine Street, 4th Floor, San Francisco, CA 94104, (415) 392-8887. Fish photo, Jim Inman. Water photo,Wyatt Horsley. People photo, Jacob Katz. PG&E’s Potter Valley Project consists of two dams on the upper mainstem of the Eel River that block access to important high elevation habitat. 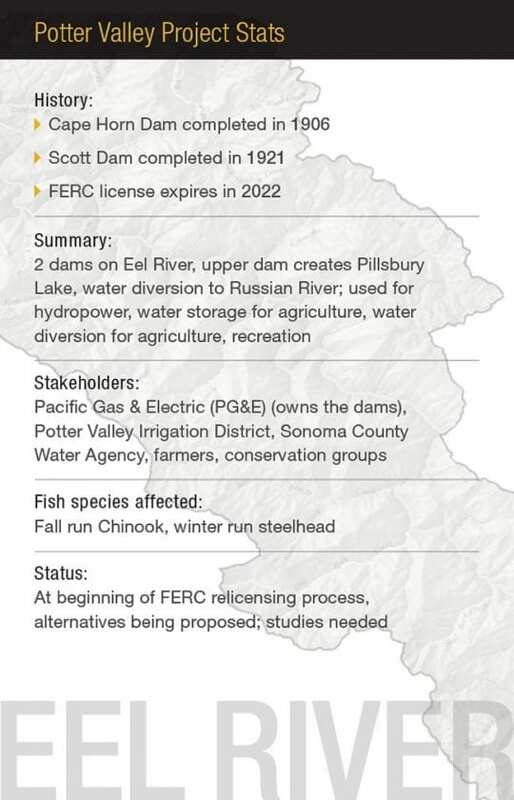 These dams are coming up for re-licensing next year—a once in 50 years opportunity. CalTrout is working with Humboldt State University to assess habitat conditions above the dams—specifically how many miles of spawning and rearing habitat there is, and how many fish can be produced. Established science will legitimize and empower our demand for improved fish passage as a condition of re-licensing this dam. Visit the Eel River Recovery Keystone Initiative page to learn more about our work headwaters-to-sea approach to bringing the Eel’s salmon and steelhead back to historic abundance. Problem: Consistent flows of cold water are diverted to an exploding legal and illegal cannabis industry. Compounded by four years of drought, some headwater streams now run dry. Goal: Quantify flows required for fish survival. Use data to influence state policy to better regulate and guarantee streamflows for wild fish. 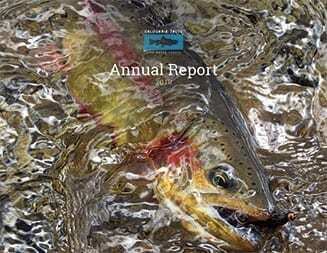 Result: Salmon and steelhead have enough water in the South Fork Eel to rear in summer and thrive. Problem: Hundreds of miles of tributaries are impassable– key salmon spawning grounds cut off by a myriad of barriers. Goal: Remove the barriers! Two down, over a dozen to go. Result: Salmon and steelhead have access to hundreds of miles of natal spawning habitat. Problem: Years of degradation have compromised the estuary. Goal: Restore tidal marsh lands and passage into tidal slough channels. Result: Salmon and steelhead rear in high quality habitat growing big and strong before entering ocean. Problem: Two dams completely block access to over 100 miles of quality spawning and rearing habitat. 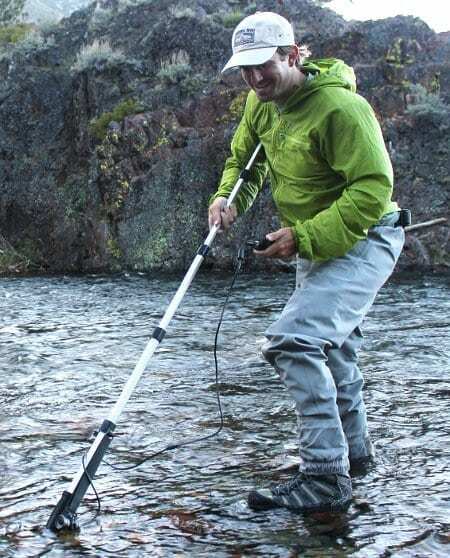 Goal: Conduct surveys above Lake Pillsbury to quantify the amount of habitat historically available to salmon and steelhead pre-dams and use the findings to guide the relicensing process and options. Result: A solution to the dams that balances the needs of wild fish and people. Conservationists can now point to the largest dam removal project in the U.S. as a success story. The ecosystem of Washington’s Elwha River has been thriving since the removal of its hydroelectric dam system. 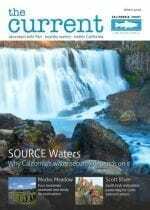 Recent surveys show dramatic recovery, especially in the near shore at the river’s mouth, where the flow of sediment has created favorable habitat for the salmon population. A new generation of salmon species, some of which are endangered, are now present in the river. Some hope that the restoration of the Elwha River will become a shining example for the removal of dams across the U.S.